Meeting minutes are a very strange thing. On the one hand, (at least some) companies invest a lot of time and effort in the documentation of meetings and on the other hand just a very few people seem to read it. Furthermore, meeting protocols do not seem to help in getting things done better, faster or more efficient. But nonetheless, some meetings need a kind of record for communicating contents or results to other stakeholders within or outside the organization. But the big question remains: What is the right content and format for the meeting minutes? That depends on who is the recipient of your meeting notes. And how can the minutes of meetings really help yourself and others in the aftermath? There is a plethora of meeting minutes templates to be found in your favorite search engine (e.g. find some templates here). But before you choose one, step back for a second and ask yourself, what’s the purpose of your meeting protocol? Is it a “binding” documentation of meeting results? Does it have to be a complete transcript of the meeting? Or is it just a documentation of tasks, decisions and outcomes? From our experience, in business meetings you neither need a lot of prose in your meeting minutes, nor a detailed reproduction of the discussion and viewpoints from the meeting. Throw your claim for completeness overboard and focus on the core. Leave the clutter, that buries the relevant decisions and personal tasks for everyone, aside. Most often, minutes of meeting are written with focus on the meeting itself. Consider it a book or story. Have your readers in mind, when writing your meeting minutes. The meeting minutes format is supposed to help your readers to find quickly what is relevant for them. With this very basic meeting minutes template, the different stakeholders can easily and quickly find which items are relevant to each of them. For example, other recipients within the organization can read what was talked about and what has been decided. 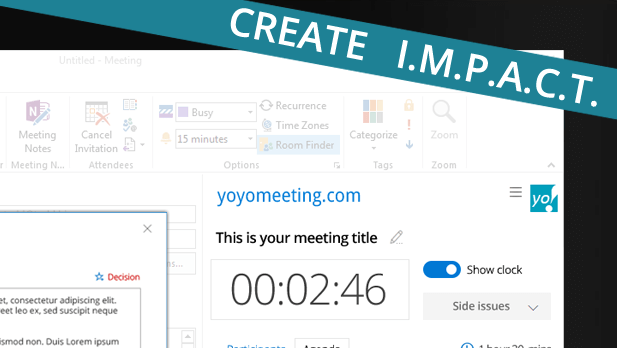 Participants from the meeting can quickly retrieve their personal tasks and deadlines and finally, management can intervene when they do not agree to a decision. With that meeting minutes format, a lot of work can be reduced, and the use of meeting protocols can be increased dramatically. To make your minutes of meeting even more professional and less work, you should re-use your meeting agenda. In a decent meeting agenda, you have the agenda item title (no. 1 from the meeting minutes template above) and the description what needs to be discussed (no. 2 from the minutes format above) written down anyway. So peak performance is, when agenda template and meeting minutes template are the same thing in two different statuses. Just alter the agenda with the decisions and tasks from your meeting and, voilà, your meeting minutes are already done! In case you use Office 365 from Microsoft, you can also check out our meeting management software add-in to take the hassle out of agenda setting and meeting minutes. 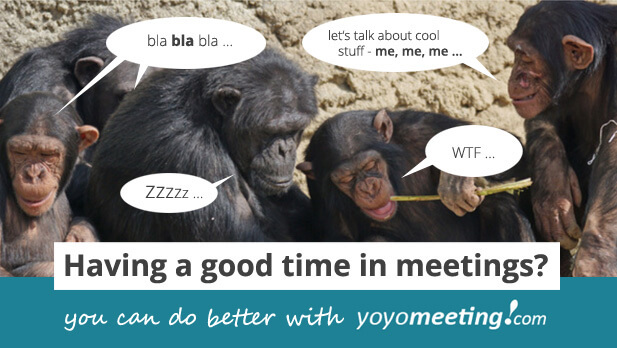 With yoyomeeting, helpful meeting minutes are done in no time during the meeting. And before everyone is back at their desks, the minutes of meeting are already in their inboxes. Meeting madness – can you believe this? !